After the kids are tucked into bed, parents like to turn the lights down low, put on some not-safe-for daytime programming, and get down and dirty … with frozen desserts. 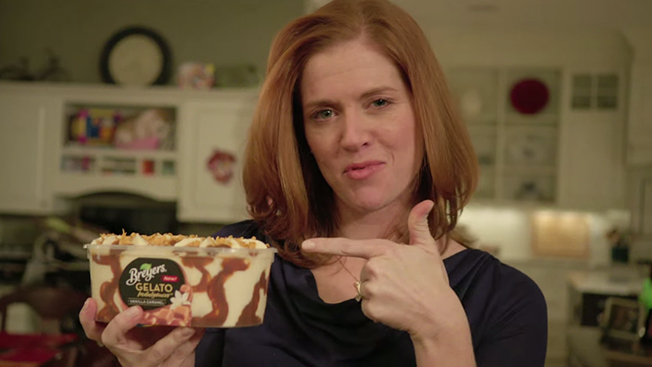 At least, that's what Breyers claims in this off-the-hook song-and-dance number from DDB that manages to get "I said so" to rhyme with "gelato." The music video is an extended version of a concept visited in an earlier 15-second spot, in which a young son catches his parents snacking on Breyers Gelato Indulgences in the middle of the night. If you thought the first ad was cheesy, this cringe-worthy version goes on way too long, and really makes you feel like you did walk in on your parents doing something you shouldn't have seen.